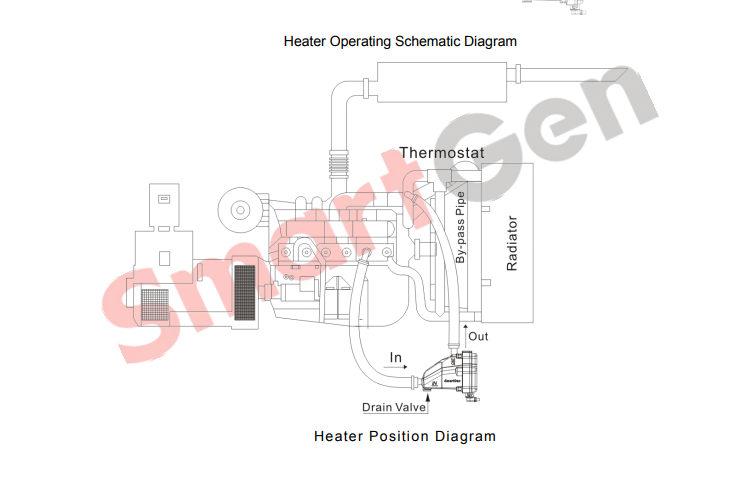 HT Series Water Heater enjoys wide application on various engine coolant preheaters. It has fine cast aluminum enclosure and self-extinguishing engineering plastics end closure, multiple installation ways and easy and convenient use. If during cranking the outside temperature is lower than 4 ºC, engine coolant and lubricant may condense into solid state and lose their lubricating and cooling properties, which can damage the engine. Engine heater should be installed to ensure normal starting and running of the engine when the outside temperature is lower than 4 ºC. HT Series Water Heater combines the following features: cast stainless steel inner pipes and end closure with high corrosion resistance; power, heating and overheat protection light indicators; 3 kinds of heaters with different heating temperature are optional (Standard heater: 40 ºC; 50 ºC and 60 ºC heaters are needed to be customized). This product is suitable for various engine with (0~13.) L displacement. This product can work normally at -25 ºC temperature.